The Vitamin C Collection purifies the skin by removing makeup, dirt, and excessive oil. Infused with powerful antioxidants such as Witch Hazel Extract, Tangerine Fruit Extract, and Gold, your skin will feel energized and refreshed. With this exceptional collection, the skin reaps all the nourishing benefits of this collection while rapidly diminishing the appearance of fine lines and wrinkles. Gently apply a small amount and massage it into your skin. Allow several moments for the Serum to be absorbed by skin before continuing your skin care routine. Use before 24K Multi-Vitamin Day Moisturizer or 24K Deep Moisturizer for best results. 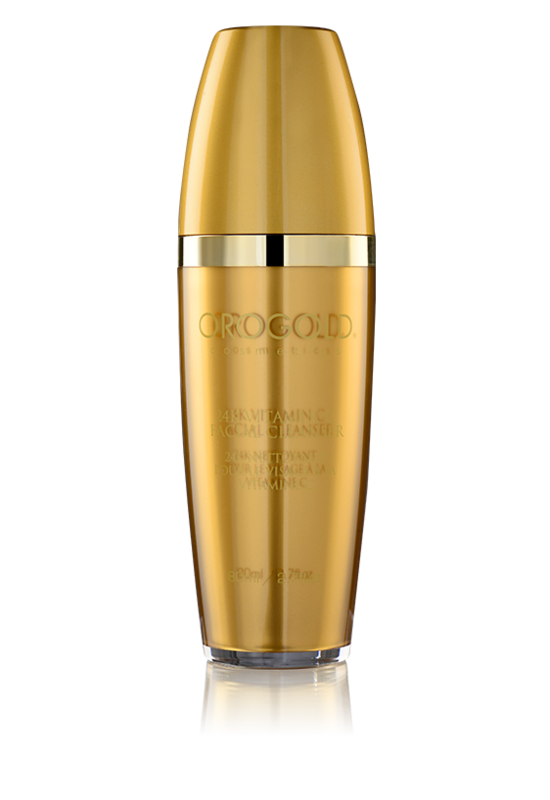 This luxurious facial serum flecked with gold instantly provides luminous and bright looking skin. Over time it diminishes the appearance of fine lines and wrinkles, leaving you with smooth and glowing looking skin and a soft citrus aroma. Use on moist skin. Lather a small amount in the palms of hands and apply the lather onto the skin using circular motions. After massage, rinse away with warm water. 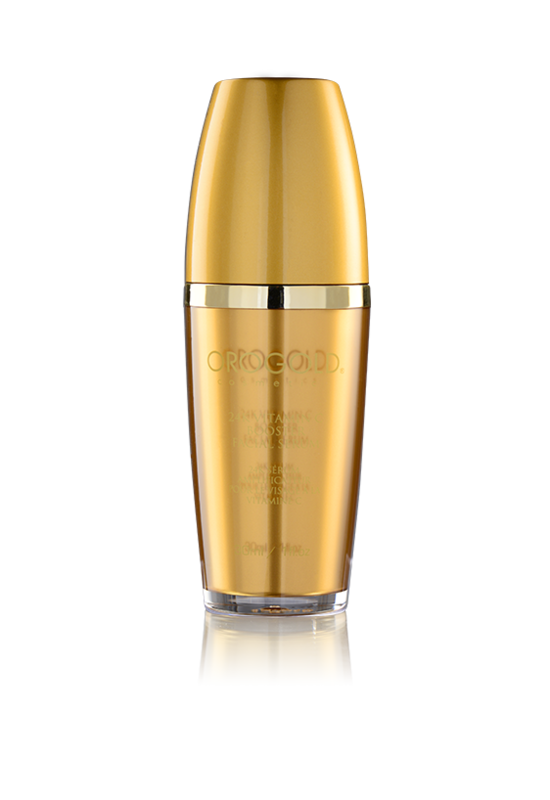 For best results follow with 24K Vitamin C Booster Facial Serum. This opulent cleanser doesn’t just do an excellent job cleansing the skin of impurities, dirt and extra oil but it also removes makeup! Use it at the end of the day to remove grime and pollutants from your face in one easy step.